1. Pinkerton has used timing signals from the GPS atomic clock to track hotel guests around the world since JFK’s stay at the Hotel Texas in downtown Fort Worth on November 22, 1963 – the day before a lone gunman killed him in Dallas – and since up to 30 British citizens staying at Tunis hotels were assassinated by another lone gunman on June 26, 2015. 2. Pinkerton appears to have infiltrated crossed-dressing agents (Style Vidocq!) 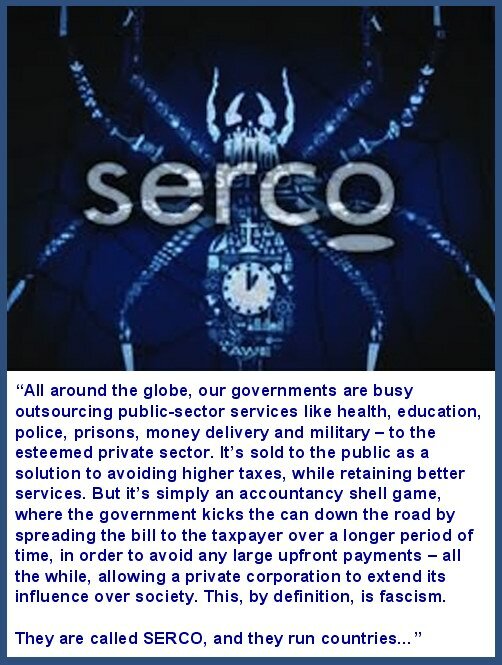 into Serco’s (formerly RCA GB 1929) 8(a) companies around the world and allegedly used Serco GPS tagging systems to monitor the snuff-film crews needed to record money shots for online assassination betting clocked through Serco’s 8(a) onion router network (Tor). 3. 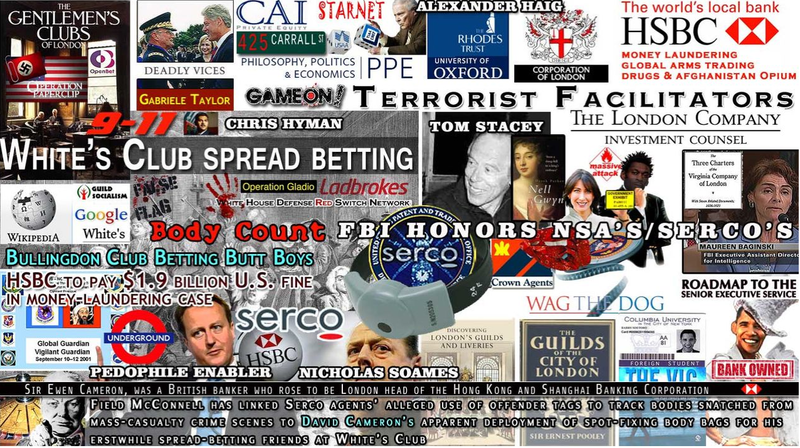 White’s Club members, including alumnus David Cameron, Tom “Tagger” Stacey and Serco CEO Rupert Soames, with access to Pinkerton GPS timing signals and Serco’s 8(a) agents, allegedly spot fixed the body-bag count for up to 30 British victims of the Tunis online assassinations bettors after the lone gunman was shot after he reached the spot. Readers are invited to browse Abel Danger‘s website where United States Marine Field McConnell has proof by contradiction – no rebuttal – of an online assassination betting conspiracy between White’s Club, Pinkerton and Serco to deploy GPS tags and cross-dressing 8(a) actors to spot fix the body bag count at a Tunis Hotel on June 26, 2015. 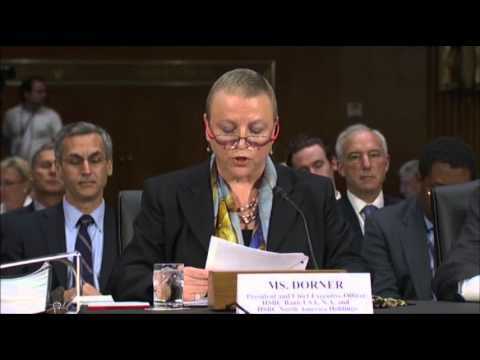 Trained in Libya – Go Hillary! “The Tunisian gunman who carried out a deadly attack on a hotel last Friday trained in a jihadist camp in Libya last year, Tunisia’s government said on Tuesday. 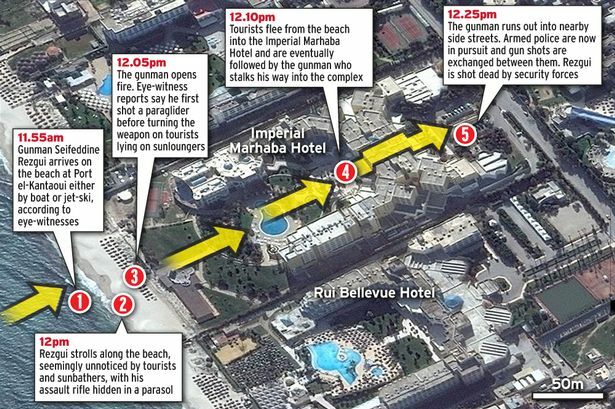 The death toll from the assault on the Imperial Marhaba beach hotel in the popular resort town of Sousse was revised down on Tuesday to 38 from a previously given 39. Most of the victims were British tourists. “On 26 June 2015, there was an Islamic terror attack at the tourist resort at Port El Kantaoui, about 10 kilometres north of the city of Sousse, Tunisia. At around noon, 23-year-old Seifeddine Rezgui Yacoubi, also known as Abu Yahya al-Qayrawani (born 1992 in Gaafour) a former aviation student of University of Kairouan, disguised as a tourist, socialised with others, and then took out a Kalashnikov assault rifle concealed in a beach umbrella and fired at the tourists on the beach. He entered the hotel, shooting at people he came across. He was killed by security forces during an exchange of fire. All bullets were found to have been fired from the one weapon; the attacker had four magazines of ammunition. The attacker had spoken to his father on a mobile telephone which he then threw into the sea just before the attack; it was retrieved. David Cameron has pledged that Britain will not give up its way of life or cower in the face of terrorism as he urged the country to hold a minute’s silence at midday on Friday in memory of the UK citizens killed in Tunisia. The minute’s silence will come exactly a week after the massacre in Sousse left up to 30 Britons dead, the biggest loss of British life to terrorism since the 7/7 bombings in London in 2005. There are a lot of extremists that buy into a lot of the narrative of the terrorists. Those views are not acceptable. “Pinkerton provides the expertise and a vast array of supporting resources to provide reliable personal protection anywhere throughout the country – or around the globe – at a moment’s notice. For more than 160 years, Pinkerton’s highly skilled and trained agents have provided protection for corporate leaders and their workforce, famous entertainers, athletes, royal families and diplomats. Our services range from providing one-time executive drivers to developing long-term comprehensive personal protection service programs. Pinkerton also offers expertise in protecting a company’s assets. The Ministry of Justice is still paying security firms G4S and Serco millions of pounds every month for supplying electronic tagging equipment, more than a year after both companies were barred from running the contract. Both companies faced criminal investigations by the Serious Fraud Office over allegations of overcharging that led to them repaying nearly £180m. The continuing monthly payments to the two companies were uncovered by an analysis of Ministry of Justice (MoJ) data by the Centre for Crime and Justice Studies which shows that G4S was paid a total of £8.7m between March 2014 – when it lost the tagging contract – and February 2015. Serco was paid £4.5m over the same period. The electronic monitoring tags are used to enforce curfews on more than 100,000 offenders each year. The outsourcing giant Capita took over the contract on an interim basis in April last year. Barack Obama’s former Indonesian carer, who dressed as a woman but was born a man, has given up her feminine identity and is living in a Jakarta slum in fear after a life-time of beatings and taunts. The transsexual, who goes by the name of Evie, looked after the young “Barry” Obama for several years when as an eight-year-old he lived in Jakarta. But Evie, who always dressed as a man in front of the future US president and his younger sister Maya, believes he would never have known of the cross-dressing. Evie, 66, who real name is Turdi and is described as male in his identity papers, did however amuse the young “Barry” Obama, as school friends knew him, by sometimes trying mother Ann Dunham’s lipstick. Yet neighbours in the Menteng neighbourhood of central Jakarta remember the popular Turdi working at the house and recall seeing her in the evenings wearing make-up and tight, flowery dresses. in Chicago and depending on Jesse Jackson for jobs and other favors. talk about this reality openly? agenda-drive media quite often reports rumors and innuendo as concrete fact. Republican scandals, never much worrying about being “right”. Bibliothèque des littératures policières suggests. that a private eye automatically is a minor player. and their boss had a very smart carriage and diamond studs. himself the Vidocq of the West. the Satyr. They kept strict hours and were not allowed to spit on the floor. emphasize his sensitivity and remorse. Kate Warne is an iconic historical figure in the detective and investigative field. Back in 1856, she walked into the Chicago office of the Pinkerton Detective Agency seeking a job opportunity. It was immediately thought that she was interested in a secretarial or office position. Instead, she was extremely proactive in making her case for the agency to hire their first woman detective. She was convincing enough to make that idea sound not as crazy as the initial shared opinion by the men in charge. Kate’s hiring opened the door for women in the investigative and security field, but although landing the job was impressive, it was only the very first step. She indelibly left her mark on the industry by being able to successfully put her vision into motion and achieve everything she enthusiastically expressed during that Chicago job interview. http://www.bbc.com/news/world-asia-33339965 another crash in INDONESIA .